Modern with solar underfloor heating 1 Bedrooms, 1 Bathrooms, sleeps 2 -4. We have a portacot andamp; high chair available please ask if you would like to book as shared with Te Awa next door. I will leave this for you to assemble and put away after use. Linen is supplied for portacot. Well Greg and I both grew up in New Plymouth and having 4 adult children life has been pretty busy. Now we are approaching retirement and looking forward to doing some adventure of our own. We have just returned from a month travelling through China ending the Transiberian Railway in Moscow & St Petersburg. A wonderful trip! Back now to finish some landscaping around the house we built a year ago from Hemp with electro magnetic shielding. Got a bit of flack for that one but am enjoying the sleep and relaxation effect. We knew this property was the one as soon as we saw it just perfect with the mountain views and the river boundary. We love the hills and the valleys and have planted lots of fruit trees and vegetable beds which we share with friends family and guests. Close to everything but far enough away to enjoy the peace and quiet of country living organically. The ocean is close you can hear it at night or take a stroll down to the end of the farm to our river boundary for a swim a picnic or a read in the sun. No one is around and it is so very peaceful. Iddylic Rural location on 30 acres organic farm with beef cattle, horses & foals, hens, Ricky the dog, 3 cats-Pepper the saay one, Buddy the boss, and Zeb just back from Uni so well educated. There are lots of local villages handy Egmont Village, Inglewood has a cute township and even our local Waitara is worth a visit to stock up @ the supermarket or the Bin Inn my personal favourite! Beautiful snow capped currently views of our local mountain Taranaki. Great for a visit you can drive all the way up to the Mountain House and once there can take a stroll or a full tramp. Our property is a breath of fresh air in a busy lifestyle. Come and sit back and relax no rush no bother. Take a wander down the farm and sit by the river-take a picnic lunch & a book say 'hi' to the horses and the cows on the way down. Children love it here especially Ricky our dog who will play fetch all day long! This is one of the most comfortable Baches we have stayed in, all the home comforts you could want to a boutique hotel standard . Very comfortable bed, top quality linen, excellent shower. Close to New Plymouth and good access to Mt Teranaki and coastal walkway. Also I can’t forget Ricky the dog, an added bonus! Once more the cottage was clean and beautifully decorated. The bed and linen were comfortable and we slept well. We appreciated the fresh eggs and milk in the fridge. We would recommend highly and will no doubt return again. We enjoyed our stay as a family with 2 younger children (5 & 10). 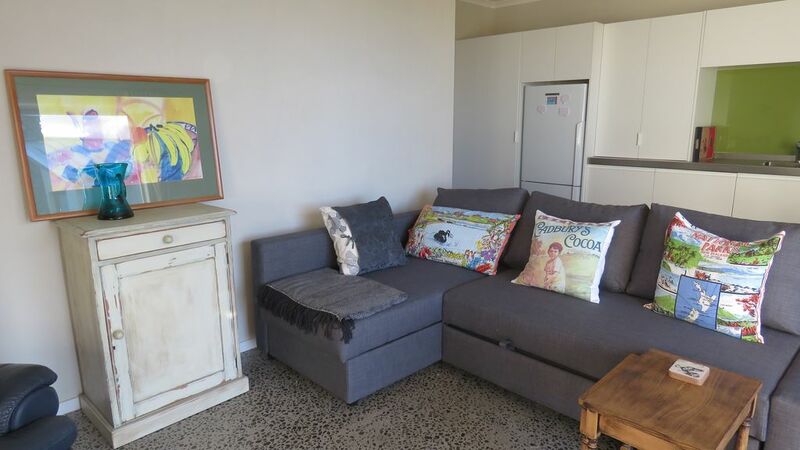 The cottage is well equipped with quality furniture and nice luxuries such as linen etc. Great place to escape the city rush, but still close enough. Beautiful cottage set on a lovely farm. Beautiful cottage set on a lovely farm. Perfect location, far enough away from town to enjoy the country lifestyle, yet close enough to town, shops, attractions etc. A truely wonderful & comfortable home away from home. Our family will definitely be back to stay again! Our boys are already missing their buddy Ricky ? A beautiful setting , close by to everything that we like to do, golf, beach, hiking and New Plymouth. This is the best . I look forward to coming back. We are located in the country but only a 10-15 min drive from New Plymouth City restaurants and bars, Len Lye Art Gallery, PukeAriki Museum & Library, shops , movie theatre, beautiful beaches & parks particularly Pukekura Park. I stock the cottages well with brochures displying local tourist attractions you may like to peruse and please ask if you would like assistance with anything at all as we have lived here most of our lives and love Taranaki to bits!